Apple reportedly only has one partner to make chips for the next iPhones after the XS/R series: TSMC. These A13 processors are likely to be 7nm in die size. If so, TSMC could make history in being the first company to manufacture this architecture using the EUV technique. According to a new report by DigiTimes, Taiwan Semiconductor Manufacturing Company (TSMC) will be offered the contract to manufacture all of Apple's A13 chipsets. This name is likely to be assigned to the processors that will power the Cupertino behemoth's next line of iPhones. If the sources behind this leak are correct, the A13 platform will have a 7nm architecture. Should this be the case, TSMC may be in a position to make history. 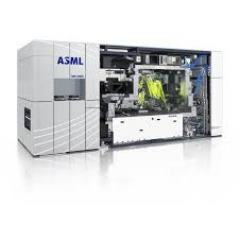 The company makes chipsets using extreme ultraviolet (EUV) lithography. It may - according to this report - be in a position to apply this technique to the manufacture of the A13s. TSMC is also said to have developed a silicon wafer-packing technology called integrated fan-out (InFO). This, as DigiTimes' sources have suggested, give it an edge over its competitors. Saying that, it appears that TSMC has few enough of those in terms of 7nm manufacturing. Earlier reports have indicated that GlobalFoundries has given up at least temporarily on the production of these platforms. Therefore, AMD has also turned to TSMC to complete its own 7nm orders. Furthermore, Qualcomm may not be engaging Samsung for its own next generation of chipsets (which are also likely to be 7nm). All in all, the cutting-edge processor future is bright...if you're TMSC, that is.